Within an hour or two, the flames were extinguished on Wednesday. 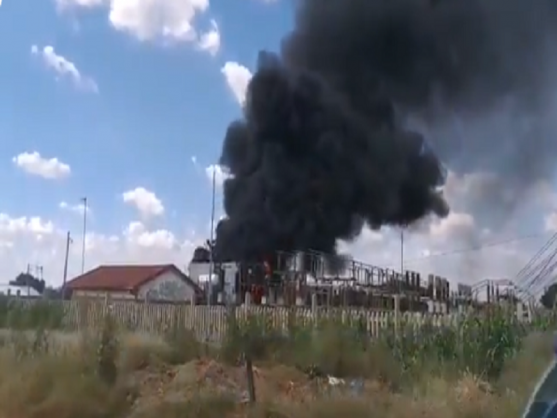 The Allandale substation near Tembisa caught fire on Wednesday afternoon with the cause of the blaze not immediately known. Power utility Eskom on Wednesday said it had dispatched technicians to attend the Allandale substation. “Eskom has dispatched its technicians to attend to an Allandale substation. The cause of the fire is not known at this stage. The areas affected by the power outage include Ivory Park and parts of Tembisa. Eskom apologises for the inconvenience,” Eskom spokesperson Khulu Phasiwe wrote on Twitter. City Power in Johannesburg said that technicians were on site to determine the cause of the fire. “Emergency services are also putting out the fire to allow investigators to come in. We will keep customers updated as and when new information becomes available,” City Power wrote in a tweet. Affected areas included Rabie Ridge 1 and 2, Kanana 4 and 5, Mayibuye, Commercia, Austin view and surroundings. By 5.30pm, the fire had been extinguished.